I thought I'd start a new project since I only have 2 unfinished awaiting. 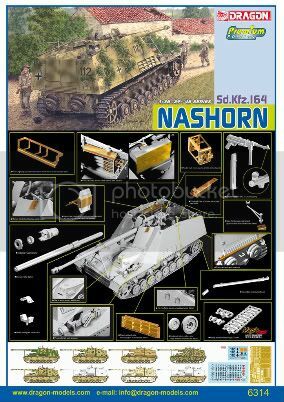 Dragons Nashorn premium kit 6314. 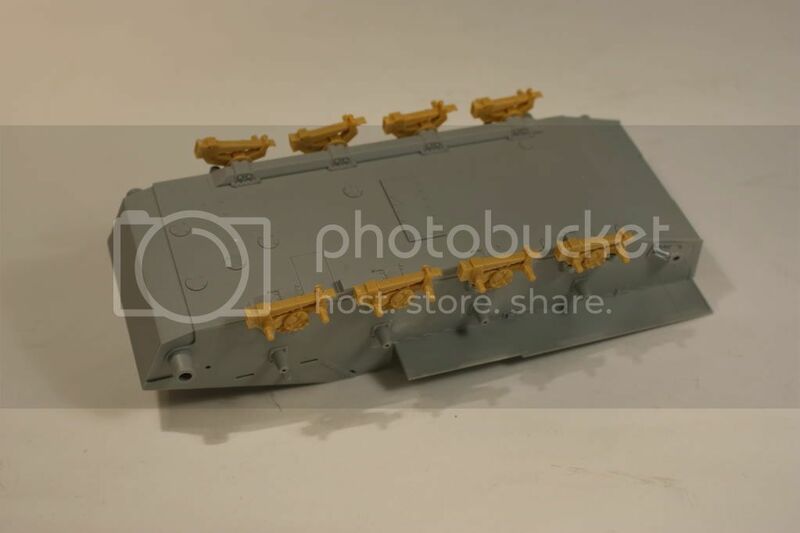 I always liked the Nashorn, but it's a opentop vehicle, hence lot of interior detail that needs attention. A vehicle from s.H.Pz.jg.Abt 88 painted in hard edged cammo. 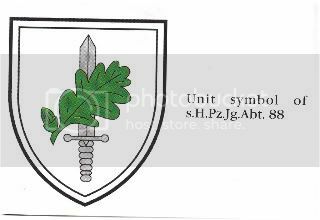 the units symbols of s.H.Pz.jg.Abt 88 I intend to make (print) myself. 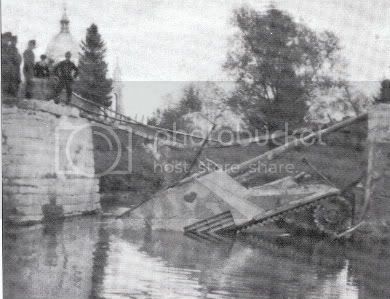 The other option is a vehicle from the s.H.Pz.jg.Abt 519, namely Albert Ernst's vehicle named Büffel. This vehicle is depicted in whitewash, so I might go for a summer scheme for this, as everybody seems to do whitewash on their Nashorns now a days. So far I have assembled the Tristar boogies and attached them to the hull. I still await the lionroar sets to arrive. Last edited by holmerz; 01-06-2009 at 05:18 AM. Super great! I'm so glad that you are back in the game, Erik. 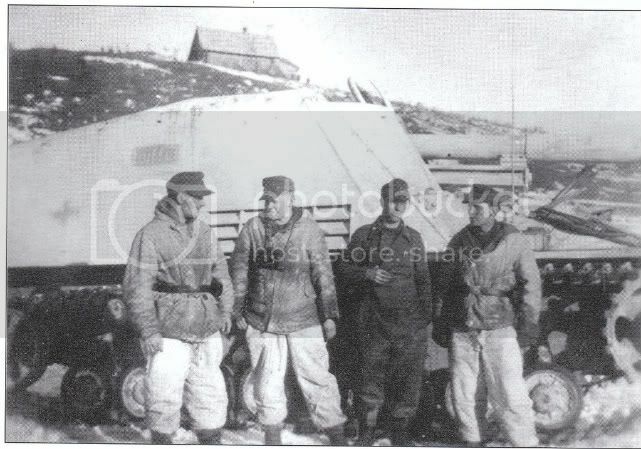 I love the Nashorn and so I can´t wait to follow your SBS! I´d vote for hardedge camo. It looks cool on this beast. I'd go for the first option. Hard edge. The heart makes a nice change too. Are you going to do the whole scene as well? I think I'd go for the 88 vehicle, cool camo and insignia should make for an interesting finish. Good start. Will you be using the Tristar or Dragon wheels? Rick: Thanks, glad to be back. Rob: With the limited building time I have available, I'm gonna concentrate on the vehicle, then we'll see. It could be a very interesting project though. Evan: I'm gonna use the Tristar wheels as the Dragon ones does'nt fit the Tristar boogies. Last edited by holmerz; 01-06-2009 at 05:20 AM. An unusual paint scheme. Would be fantastic, if you actually did a scene like the photograph. Whatever you choose; this one will look exceptional. May I ask why the Tristar wheels and suspension? Hi Darrin, the Tristar boogies are moveable, and the Dragon wheels doesnt fit them to well.